Every time when you log into a particular web site, Google Chrome will offer to remember your login username and the password. By remembering the login credentials, Google Chrome will auto complete the sign in fields whenever you return to the same web site. Letting Google Chrome to remember the passwords for you seem like a convenience and time saving features, especially if you have multiple passwords for different online accounts. Since users are relying on Google Chromes to remember the passwords, most users often forget the password they once entered. 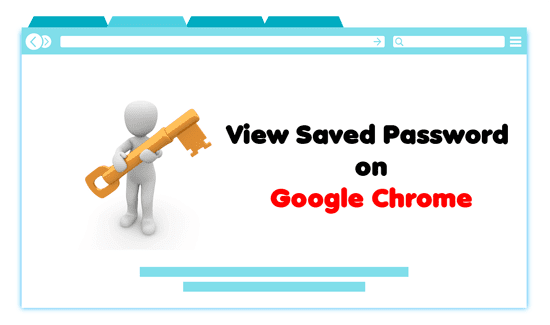 There are times when you need to know the password that Google Chrome saves, and this is what we will be discussing here to view saved password on Google Chrome. Open Google Chrome on your desktop and click on the three vertical dot icons located at the top right of the screen. From the Settings menu that appears, click on the Settings. Click on Passwords link under People. Under the Saved Password, you’ll see a list of web sites that the passwords have been saved on your Google Chrome. Find the website that you wish to view the password by clicking the Eye-like icon. Google Chrome will then reveal the saved password for that particular web site. If you are concerned about the safety of your saved password, you can always remove saved password from the Google Chrome. To remove a saved password, click on the three vertical dots icon and select Remove. Please note that after removing a saved password, Google Chrome will no longer keep your password and you’ll need to enter the login credentials manually when you visit the web site next time.